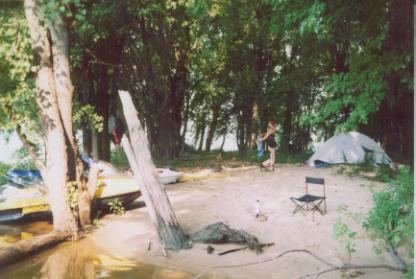 Camping with the "HYDRO TRAILER"
People often wonder when we tell them that we camp on the Mississippi river with the jetski's, just how it's done. We use the "hydro-trailer", it's basically a little boat, with a sealed hood. It holds about 11 cu/ft of cargo, plus two 6 gallon gas tanks. 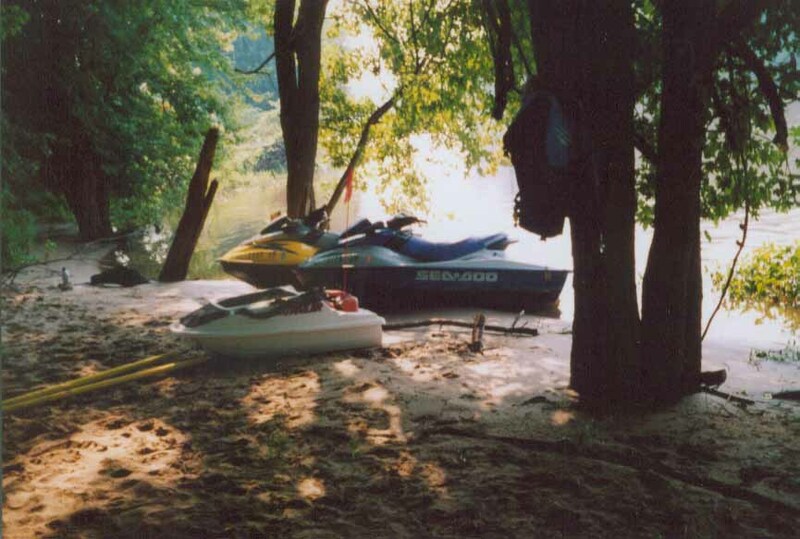 We also use waterproof duffle bag's, that are strapped to the side of the jetski. 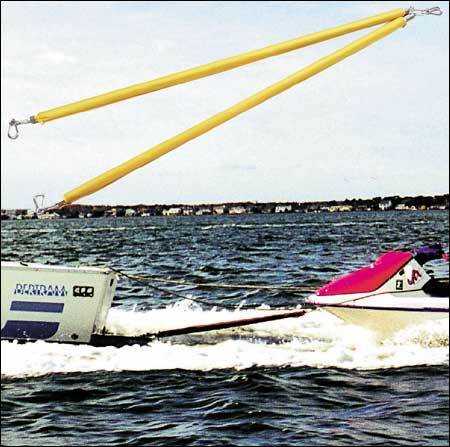 I have modified the way the hydro trailer is towed to use a set of mooring whips, as opposed to the factory supplied hard point mounting system. The factory hardpoint mount requires you to drill holes into the ski's to mount a steel bracket, which I don't like to drill holes in expensive watercraft. Additionally the hitch hangs off the back of the ski , so you can painfully bang into it when you get on the ski. You can find out more about the "HYDRO TRAILER" by clicking on the icon With the use of the mooring whips, the hydro trailer becomes quite easy to attach, detach, and tow, With the old system it was tough to get on plane, the trailer, really controlled the ski, and the max speed that you felt safe at was about 20mph. 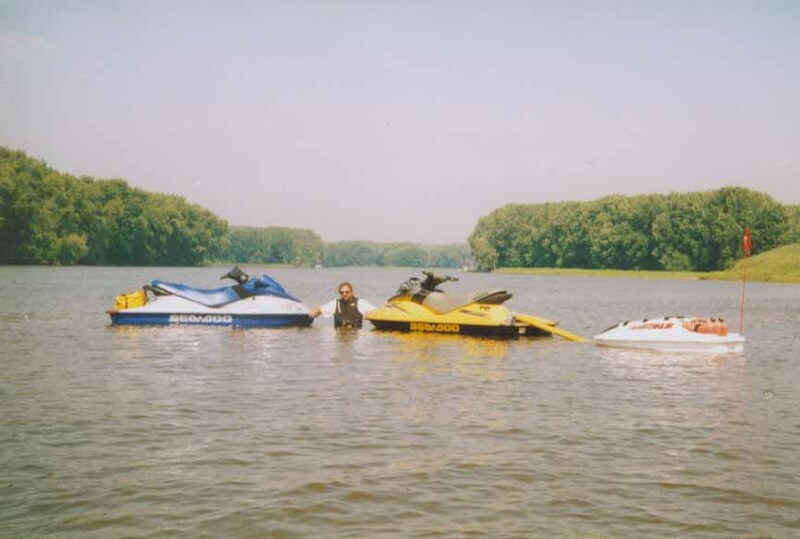 Now it tows like a water skier, and I run around 45 to 50 mph with it when the water is calm. The "HYDRO TRAILER" on the beach of the camping island. We camp pretty comfortable for about 2 days with this setup. Meals consist of either MRE's, Or Dinty Moore classic meals. These do not need to be refrigerated, are surprisingly good to eat, and heat nicely by boiling in water. The only rule, is the only dirty dishes are the coffee cups in the morning, and the fork or spoon. Other items that we take are Knorr soup cups, that only require boiling water, or any other dry sealed item that can withstand some dampness. The other consideration is when done the container can be burned in a campfire. This is an important consideration when you are outdoors with nature's woodland creatures. On this trip, we did find Bear tracks on the backside of this island. Other common visitors are the occasional water snake, They don't raid the food, Raccoons (a nightly visitor). 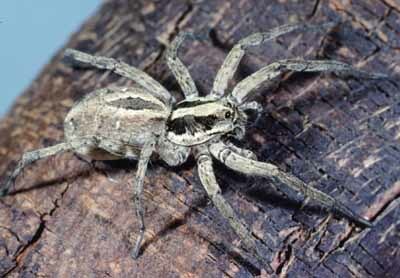 I should also mention that you definitely want to bang out your shoes in the morning before you put them on, or you may be sharing with a nice big WOLF SPIDER These dudes get big on the river, the last one we seen was around 4" across, and they will act in a defensive manner when you try to shoo them away.